Exceeds API SL and meeting JASO MA specifications. Provides extra protection for the transmission and wet clutches. Outstanding high RPM / high temperature protection. Excellent engine cleanliness-suitable for long drain intervals. Excellent engine performance under extreme riding conditions. 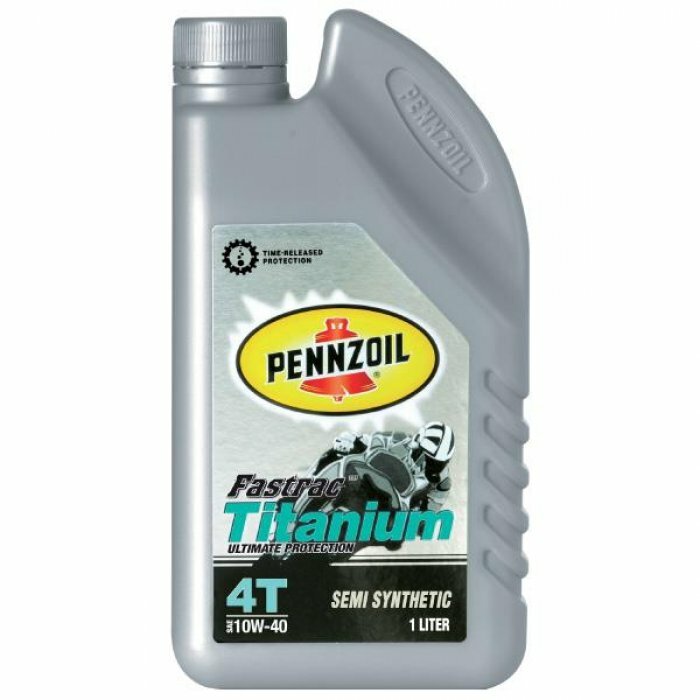 Pennzoil Fastrac Titanium 4T Semi Synthetic SAE 10W-40 is high quality semi synthetic based motorcycle oil that delivers extra protection under high temperatures and extreme riding conditions by restraining deposits and long term damage. 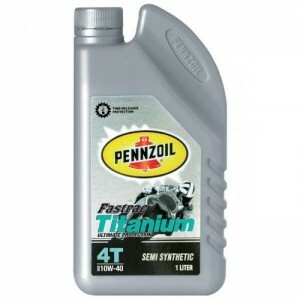 It will also protect the engine from everyday wear and tear by maintaining the optimum levels of the engine. Suitable for use in all Japanese and European motorcycles including high performance and street motorcycles.